FILM REVIEW: ‘THE D TRAIN’! All 80’s comedies are predicated on a lie. I’m too sick to go to school today. We found a mouse in this bottle. The same holds true of the latest Jack Black vehicle, The D Train, but will it take its place amongst these all-time favorites or fade into obscurity by the time you finish reading this review? The premise of the movie is simple. 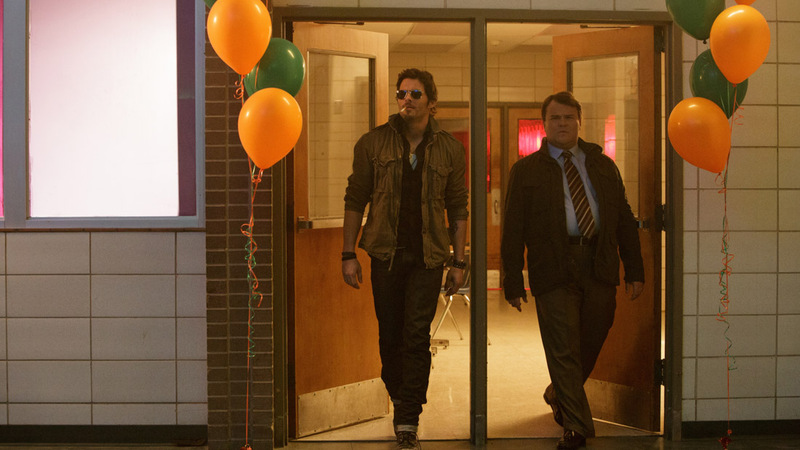 Dan Landsman (Jack Black) has the great idea to make his twenty-year high school reunion a hit by recruiting the most popular kid from his graduating class (James Marsden) to attend. Simple. Straightforward. Fraught with comedic potential. That is all too quickly squandered. You see, not unlike those 80’s comedies, The D Train is also predicated on a lie: that it’s a comedy. If we look back at what could be considered the formula for 80’s comedies, almost all of them have at their center a loveable loser. And while there’s a loser at the heart of The D Train, the writers neglected to include any of the loveable part. There’s a valid reason no one else on the reunion committee likes Dan. He’s not a good guy. He’s petty. He’s inattentive to his family. He’s prone to obsession. 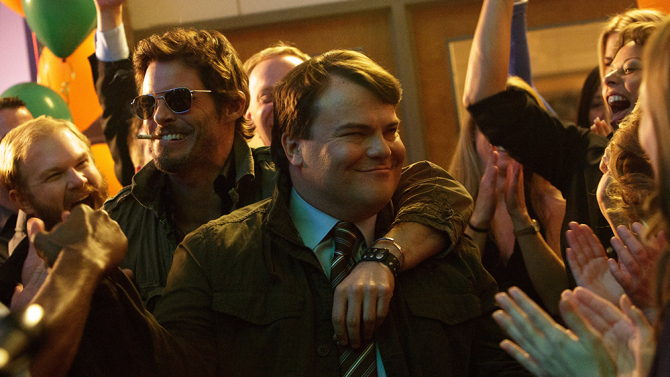 And, for want of a better phrase, he’s Jack Black. Those aren’t qualities one can cure inside of an hour-forty. While James Marsden handles his role effectively, there’s not a lot of meat left on this old bone. The fact that he’s just not as cool as Dan believes him to be is revealed far too early to be effective. Jeffrey Tambor and Kathryn Hahn are largely wasted in supporting roles, and you’ll most likely leave the theater wondering exactly how much money Dermot Mulroney made for a two-minute scene that falls flat on its face. All of this leads to an ending so incredibly un-earned as to be laughable. But not in the way it was intended. And let us not forget to talk about the musical choices in the movie. Very early on, we are told that Dan is a member of the graduating class of 1994, but you’d never know it by listening to the soundtrack. Much, if not all, of the music in the movie is from the 80’s, including all the numbers played by the DJ at the actual reunion. Does this mean that 80’s music is inherently more nostalgia-inducing than the music of the 90’s? Is it cheaper to purchase for a low-budget picture? Or is it simply an indication that the writer/directors cared as little about the production as the potential audience will about watching it? My advice: Ferris Bueller, Strange Brew, and Ghostbusters. This entry was posted on Thursday, May 7th, 2015 at 9:58 pm	and is filed under News. You can follow any responses to this entry through the RSS 2.0 feed. You can skip to the end and leave a response. Pinging is currently not allowed. « Ant-Man and Black Panther Make Appearance in Captain America 2!! !